“Hey Ma, look no hands!”, well that’s not entirely true, I do lay out the plants but Mother Nature gets most of the credit. Not because she (Mother Nature) plants for me but because she and I are symbiotic. I get what she is putting down as it were. 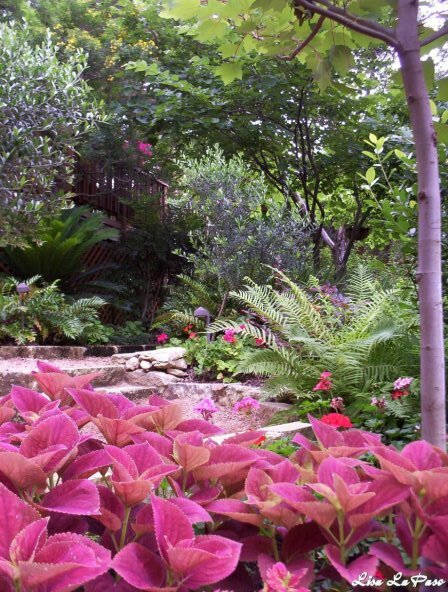 My designs are an expression of what I have come to learn over many years of watching the natural elements at play here in the Central Texas landscape. We are low on rain water and native plants dig that, we live busy lives and our gardens have to work for us so spacing plants properly and using the right plant for the job are crucial, just like in nature. Organic in every way, conservation is key and you have to work with what belongs here! 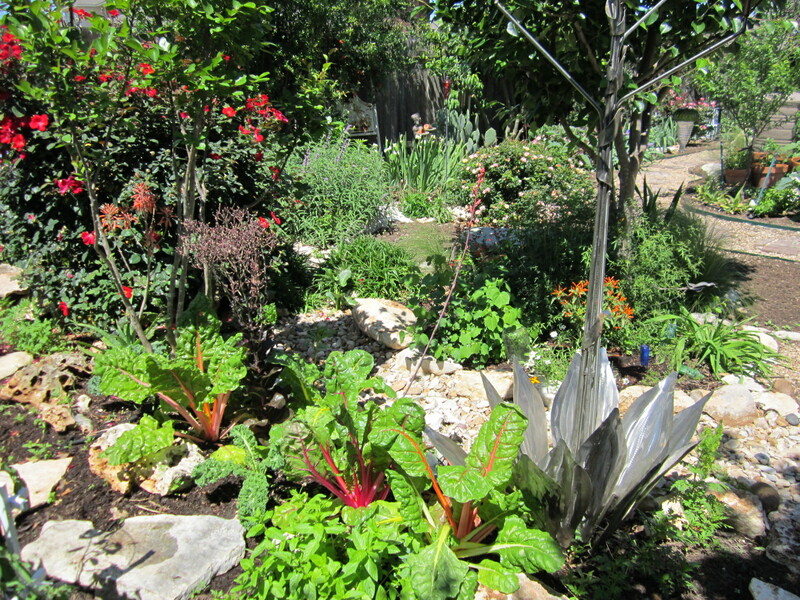 That is my interpretation of what I have learned from my surroundings over the past 32 years as a Central Texas gardener and 20 years as a designer. Here are some examples of my work. 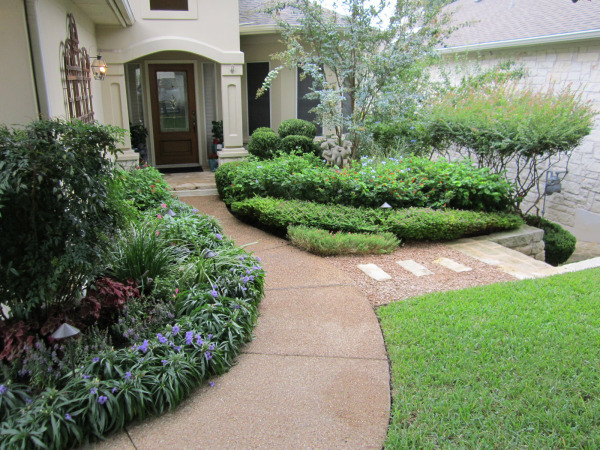 You can create a really formal looking garden with native and adapted plants, you just have to understand their nature and growth patterns. 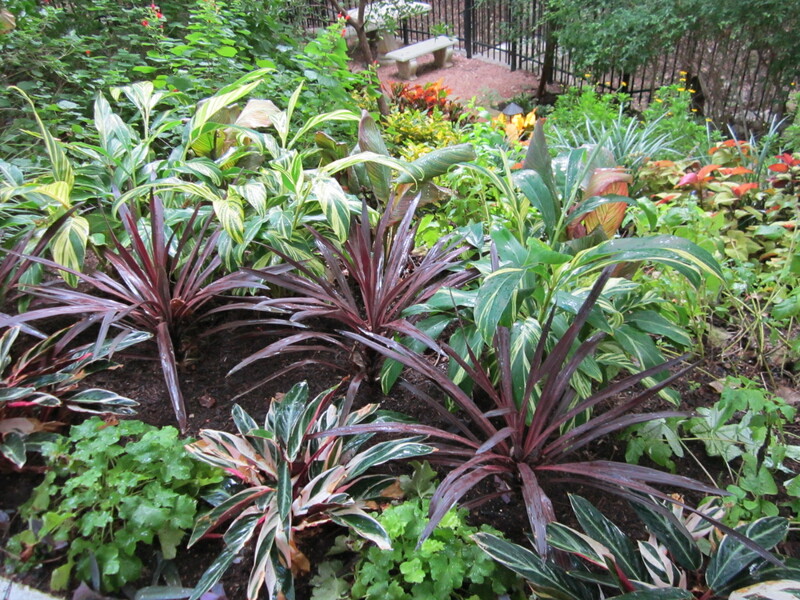 This is a combination of native and adapted plants with a touch of annual color. There is no need to use cactus in Xeriscape. 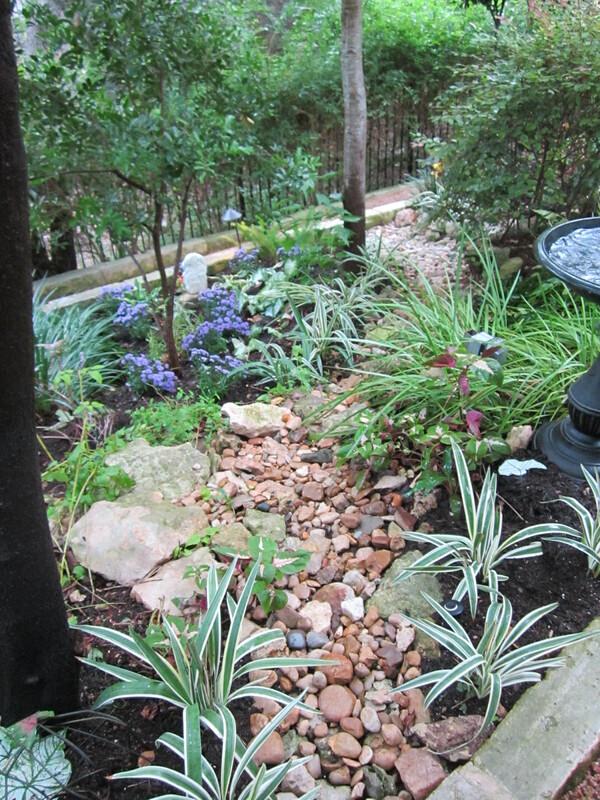 There are an abundance of beautiful, lush plants and trees that are super low water and low maintenance. 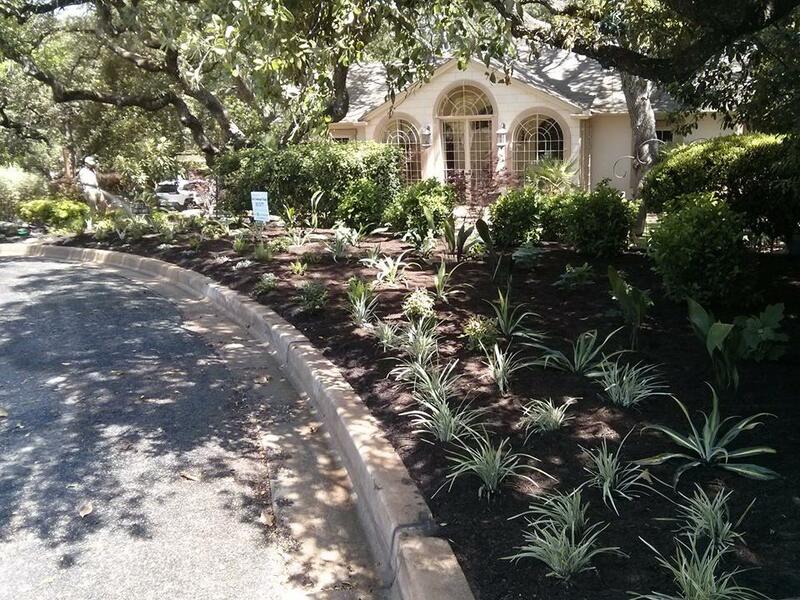 From desert style Xeriscape to Hill Country Modern. Shade gardens are a challenge but with the right contrast of foliage and knowledge of local and adapted plants, they can be stunning. Shade gardens can be a challenge for most but I love the opportunity to play with light and competing textures to my advantage. This picture above is also a space with some serious grade issues. 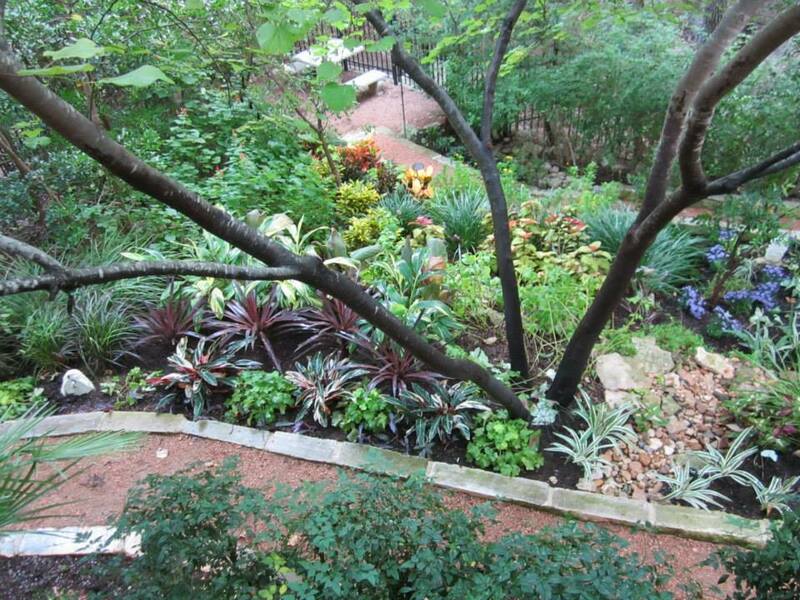 It goes straight down hill and has been bermed with stone and planted beds. Native all the way. Elegant and stately, low maintenance, low water. I can also provide a layout service to place your plants out into a prepared bed so you can be assured of proper spacing. Layout and design on site is by the hour depending on your location. Please contact me for the rate for your area. An example: 35-1) gal plants will be selected, delivered and laid out and tag in your prepaid beds for about $500 plus tax. So now that you know my style, be sure to check me out on Facebook, YouTube, or better yet give me a call in or near Austin at 512-733-7777! 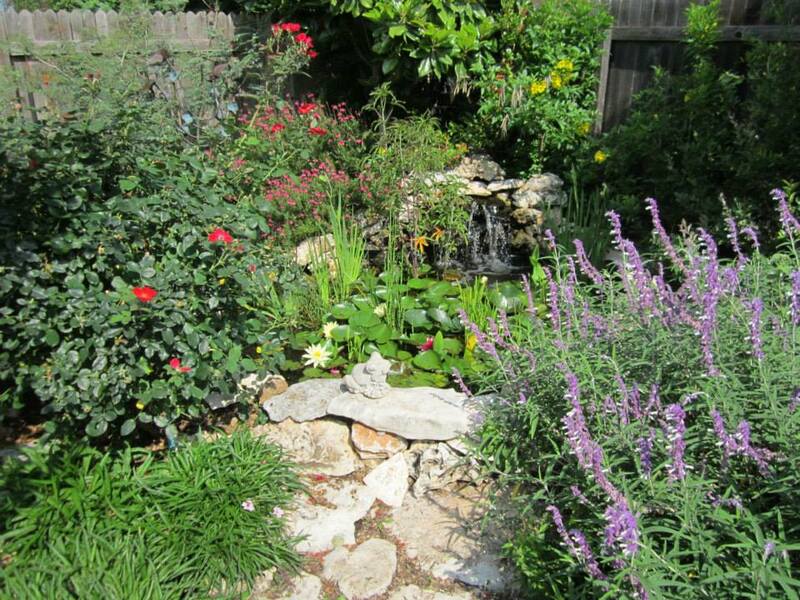 I provide Consultation, Designs, installation and layout service to the greater Austin area including Onion Creek, Buda, San Marcos, Wimberly, Bastrop, Georgetown, Cedar Park, Pflugerville and Round Rock. Hi Donna, can you please email me at lisalapaso@gmail.com? Part of your phone number is missing.